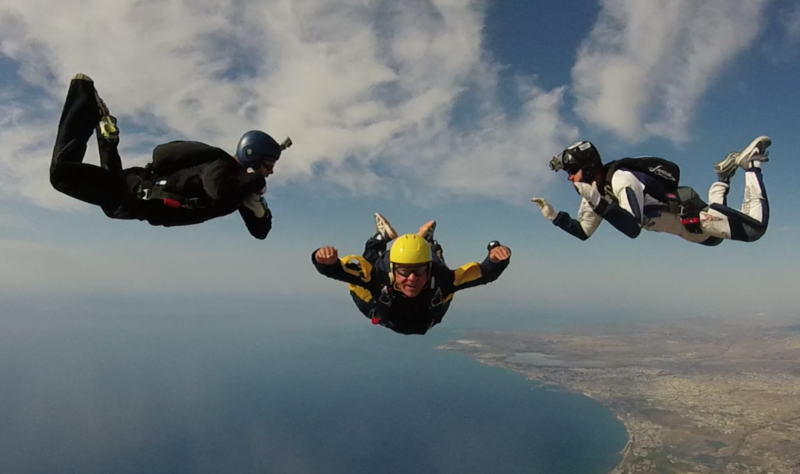 The AFF course is based on eight levels of accomplishment (normally one skydive at each level) and is designed to take place over a few weekends. 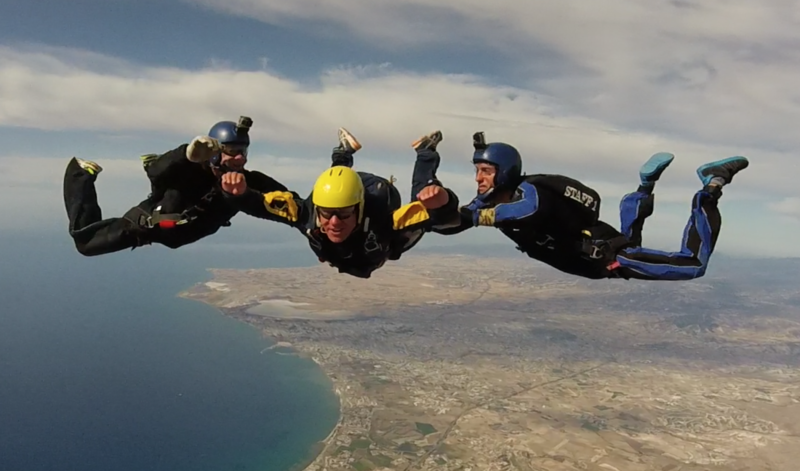 After graduating from the course, you perform a further ten consolidation jumps, guided by your instructors, to practise the skills you have learnt. You will then be awarded ‘Category Eight’, with the addition of some Canopy Handling Drills you will be awarded your 'A' Licence– your first International Skydiving Licence! Find prices on our information page. With the maximum amount of time in free fall and some of the very best instructors at your side, you’ll get the ultimate experience and the maximum achievement. The minimum age is 16 and you will require a signature from a parent or guardian up to the age of 18. There is a weight limit of 95.4 Kgs (15 st) and your BMI must be acceptable. The centre reserves the right to refuse anyone deemed unsuitable.